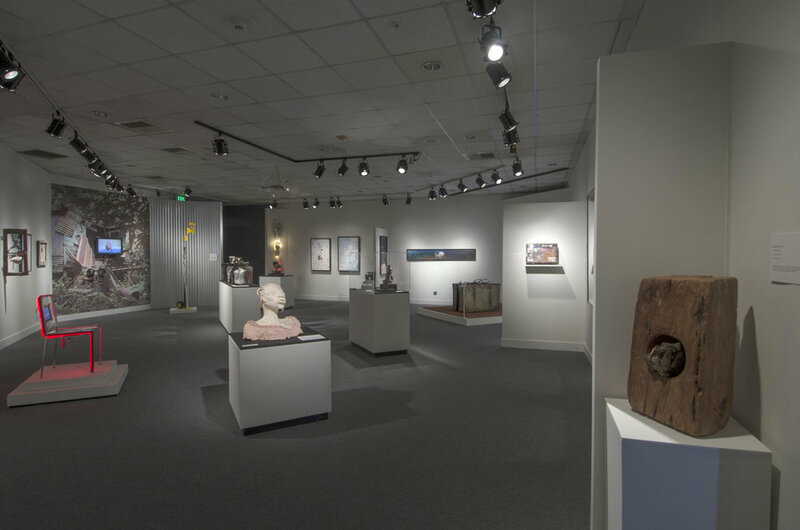 Visibly Invisible includes videos as well as works created in various media – photography, collage, soundscape, assemblage, metal, bronze, and ceramic sculptures. 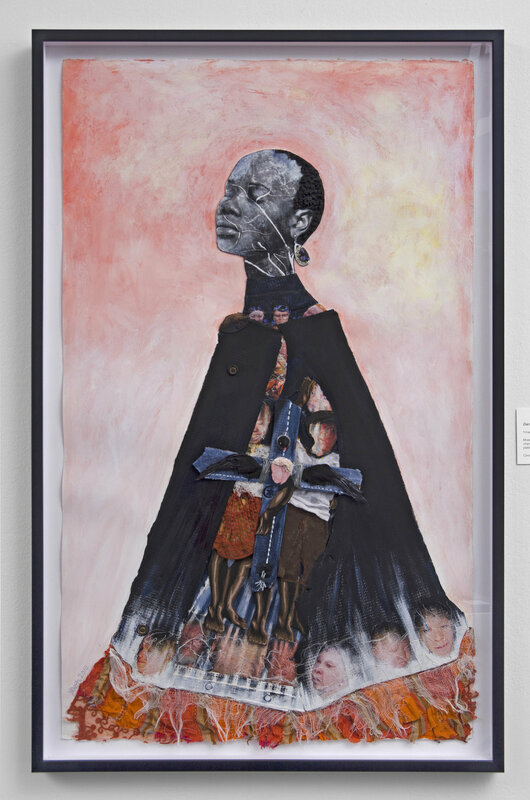 The multi-media presentation of the artwork mirrors my eclectic personal journey. My interest and love for storytelling in both documentary filmmaking and theater has been a conduit for several collaborations that has improved my growth in the arts. I credit my activism and social jobs, whether it be working with Los Angeles inner city living in challenging circumstances or that of bring the plights of people living with albinism in Africa. Both keeps project has helped me to make some major decisions in the last ten (10) years. My practice most times includes iconographies that examine mythical beliefs and explore the parallels of traditional mythology and symbols. 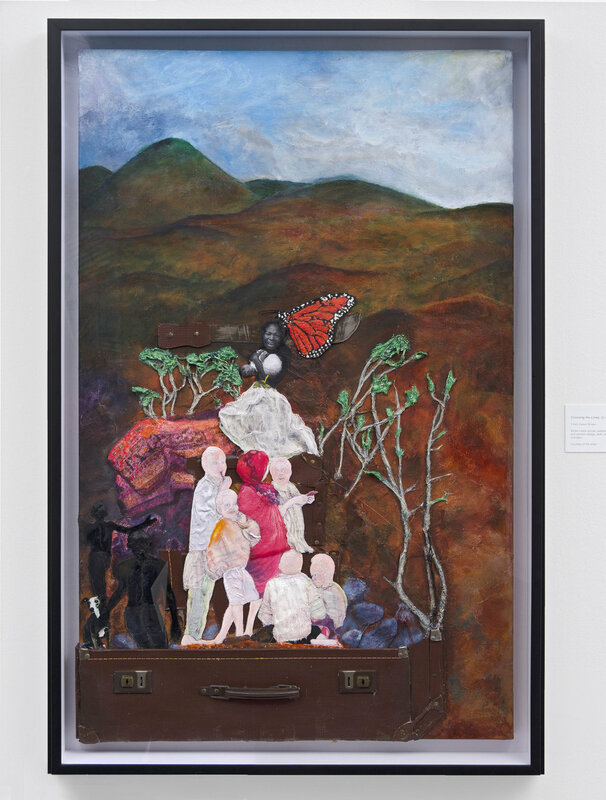 As an example of this in my work are suitcases; Travels, displacement, secrets, belongings, carriage; “My story your story”, “Road From Tanzania” and “Crossing the Lines” which also feature the Butterfly meaning (rebirth, change and transformation) in many cultures. 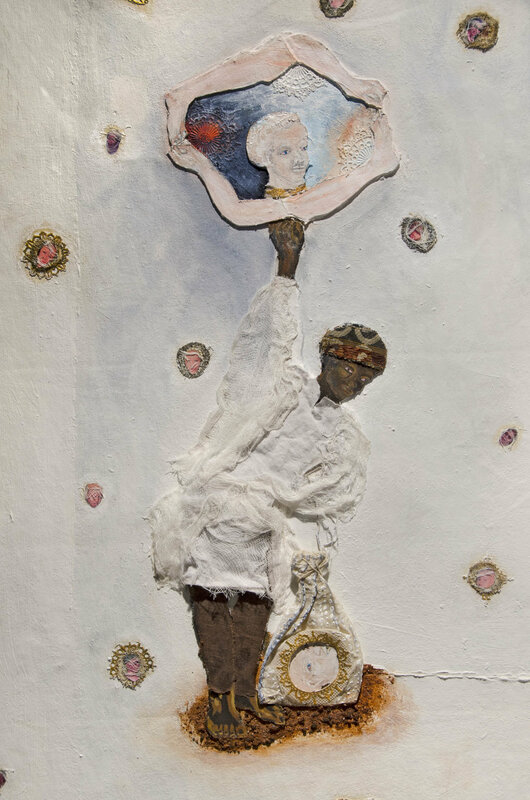 The inspiration for Visibly Invisible was conceived many years ago in my native Jamaica. I became intrigued by a woman whose difference in skin color seemed strange to those of that community and I remembered witnessing groups of children hurling rocks at her wooden window and zinc roof. She would avoid the daylight only emerging after sunset. Villagers thought she was a vampire not knowing that she was a woman with albinism imprisoned and often time trapped inside her own home. Within the last (5) years more than (90) Tanzania people with albinism recorded murders, for witchcraft and superstition beliefs. 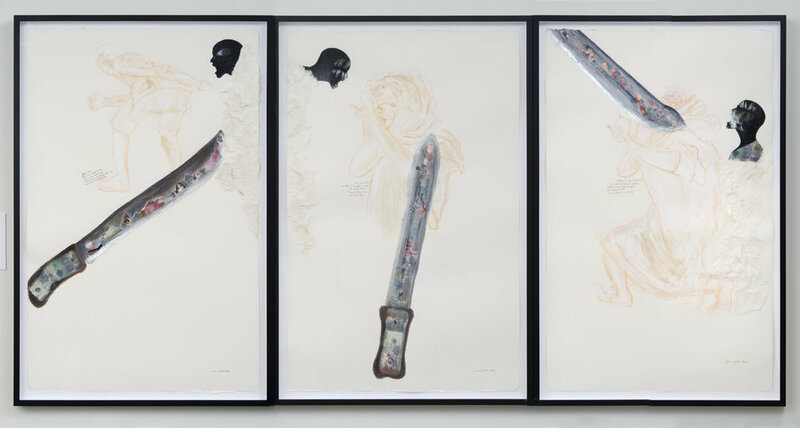 This revelation cemented my determination to use art as a tool to advocate for crime against humanity worldwide, especially in countries where there is prejudice and discrimination against people with albinism. I decided to study albinism further to support my practice. Visibly Invisible came about from my research study on albinism. This body of work speaks about albinism societies in Tanzania, Jamaica and to a lesser degree United States. My hope is that the work will stir interest and open public discourse that will change old traditional ways of thinking and lead us towards acceptance and empowerment for people born with albinism. 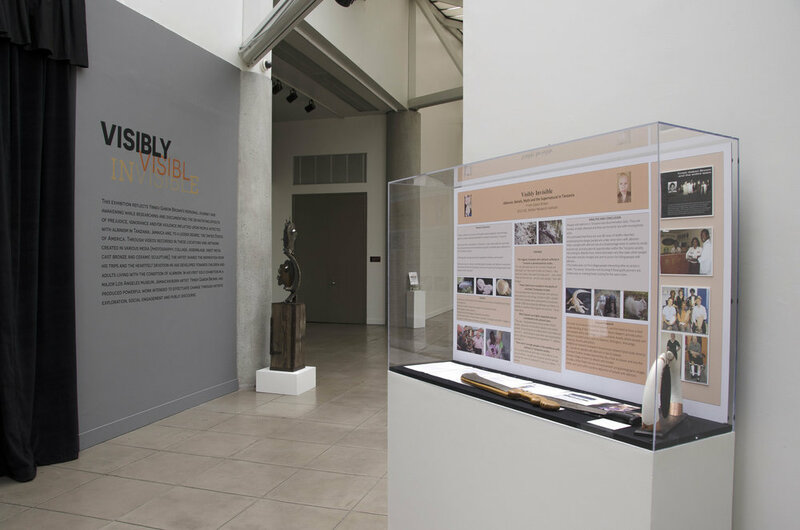 VISIBLY INVISIBLE exhibited at the California African American Museum, in Los Angeles, California and was curated by Mar Hollingsworth in collaboration with CCH Pounder, August 28, 2014-March 1, 2015. 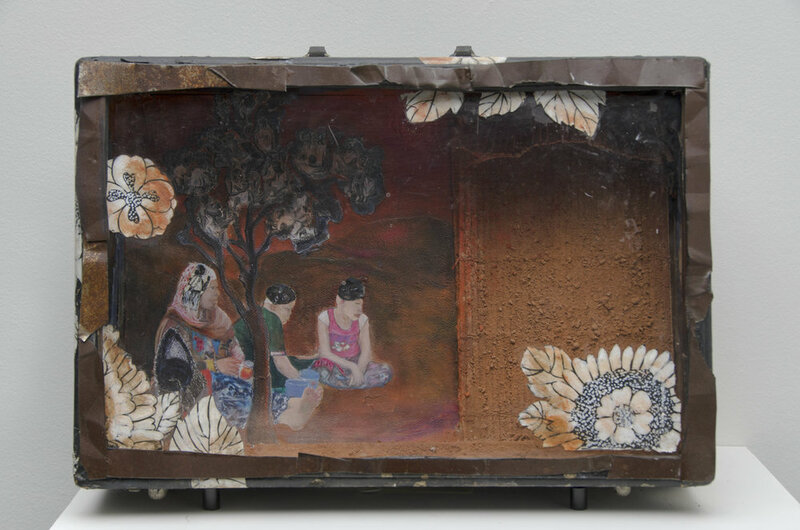 The exhibition featured three sectioned installations; Soundscapes; Video; Performances, Photographs; Metals; Bronzes; Ceramics; Fabric; glass; Paintings, Wood and acrylic. I became curious about a woman who lived in a house on a distant hill. As a six-year-old boy growing up in a remote rural countryside in Jamaica, I became curious about a woman who lived in a house on a distant hill in our village, who only came outside at sunset. All the children feared her because of the many negative stories we heard about her so we thought that she was a vampire. Older boys would throw rocks on top of her house to force her to come to her window. Sometimes she would shout at us to stop while other times, she would ignore us. Love and understanding must be taught at an early age. Cruelty to people with albinism has been happening all over the world and, at an early age, I knew this was wrong and was haunted by this unkind act. It has been my passion and desire to understand this group of people and it never left my mind. I believe a seed was planted and I recognized then that love and understanding must be taught at an early age. I don't just make works of art because I feel the need to create. I have arrived at a cross road in my life. I don't just make works of art because I feel the need to create. 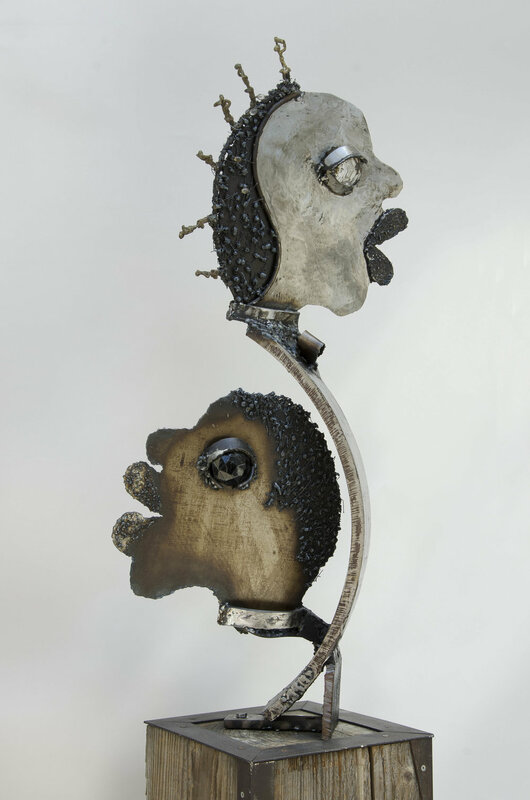 Within each piece is a story, a voice within my work that weaves my concerns on social issues, to inform, educate and bring about positive changes. I want my work to cross all language barriers and cultures, much like albinism does in all species. please click here to order one.